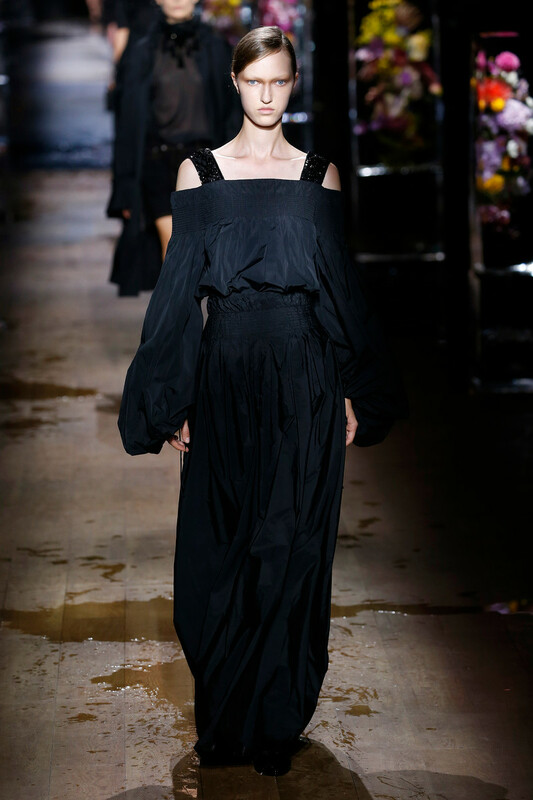 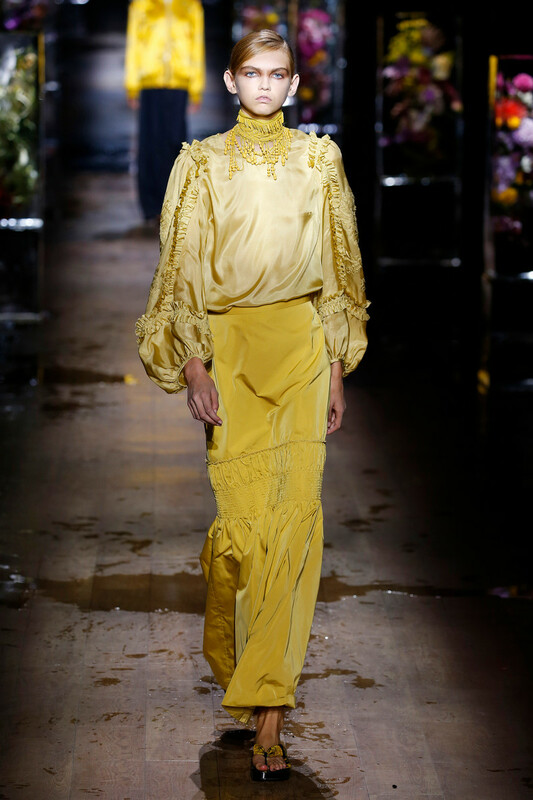 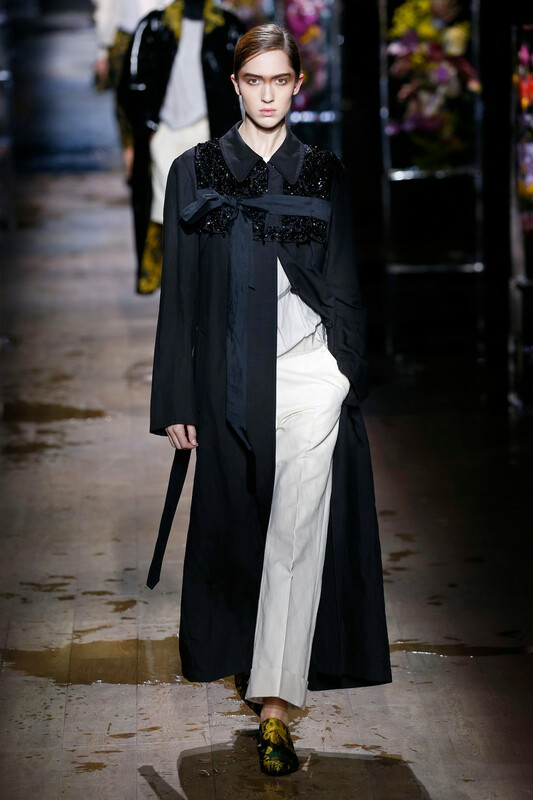 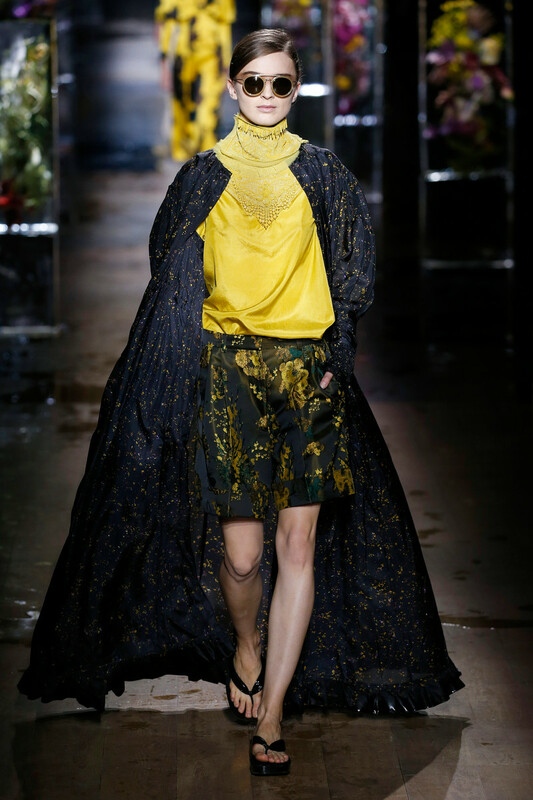 “You only see what your eyes want to see..” As an acapella version of Madonna’s Frozen hit began Dries van Noten’s fairytale came to life. 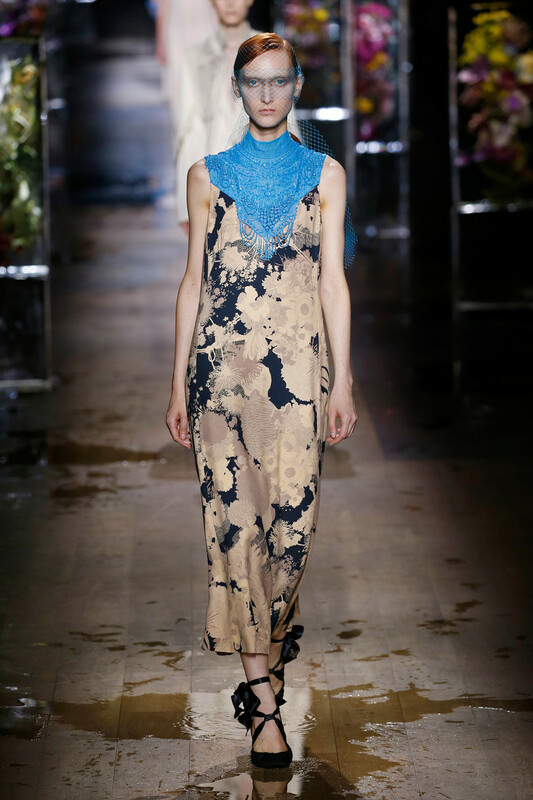 Inspired by night frost the Belgium designer showed us a spring collection with a frozen focus. 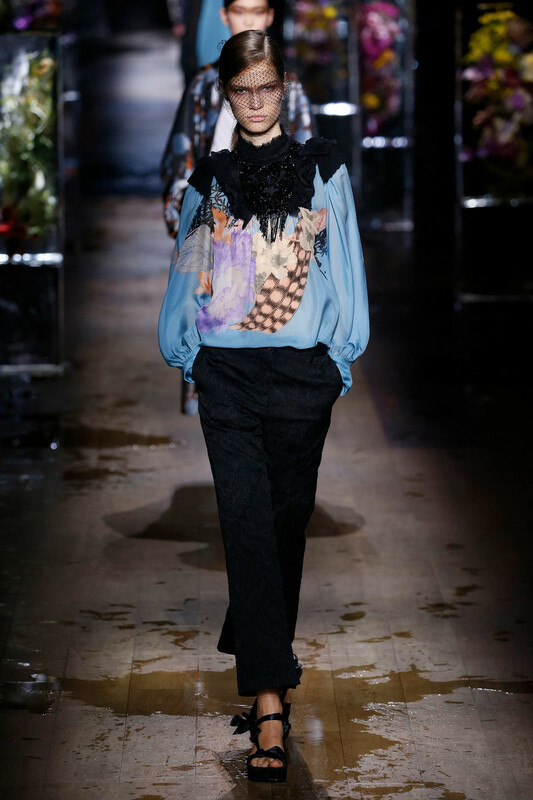 Large ice cubes melting away on the runway had the loveliest of floral ensembles inside of them, created by Japanese flower artist Azuma Makoto. 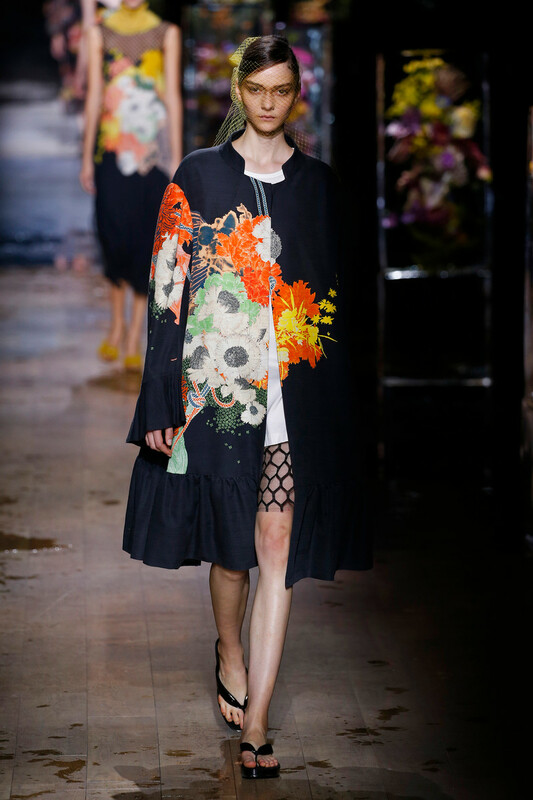 All true pieces of art for which Azuma used nearly a hundred types of rare flowers into 23 different arrangements. 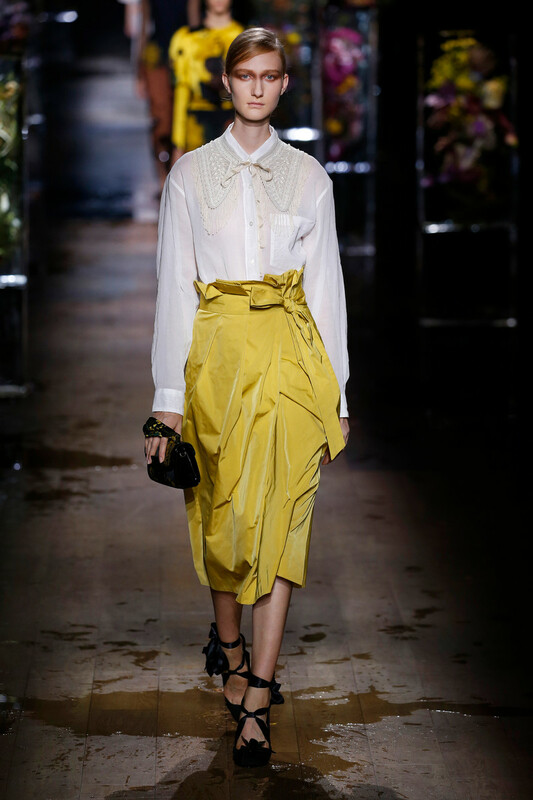 An astonishing spectacle on it’s own. 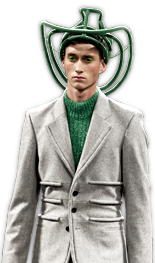 Then the SS2017 story began to unravel. 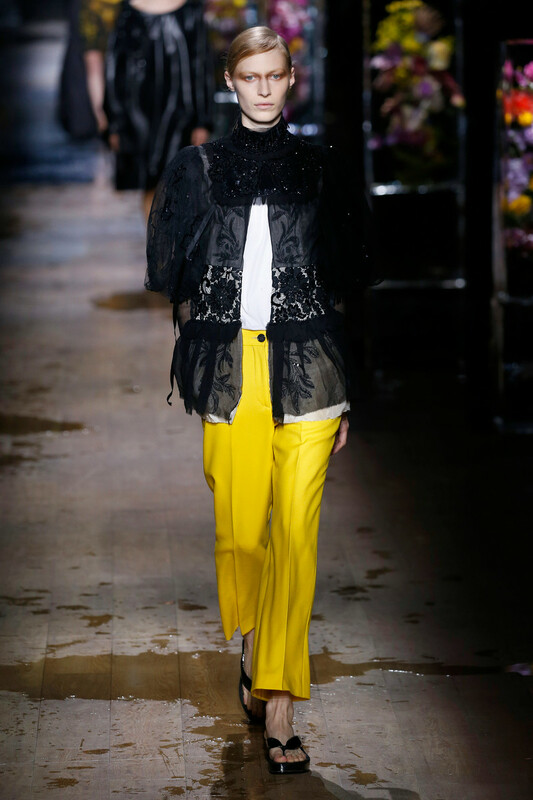 Starting off light with a series of white look, followed by a focus on yellow and ending with a line up of dark, black evening looks. 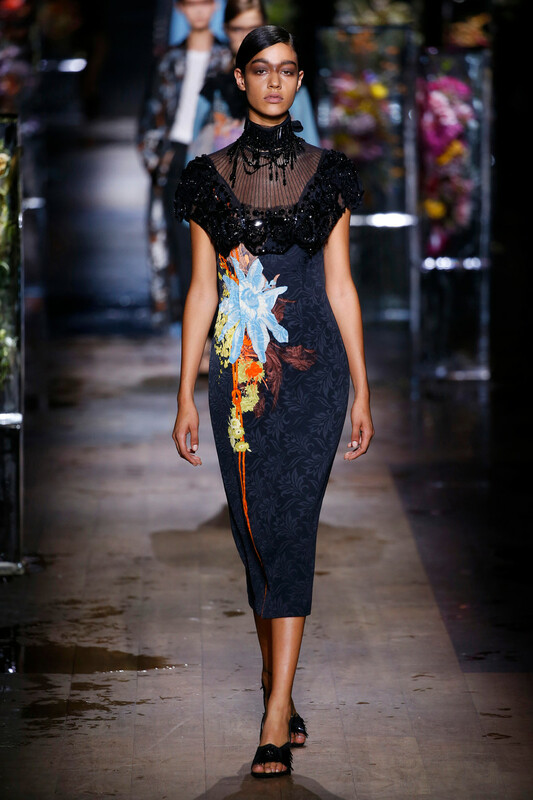 All decorated by the loveliest of floral prints from a wide range of exotic flower species. 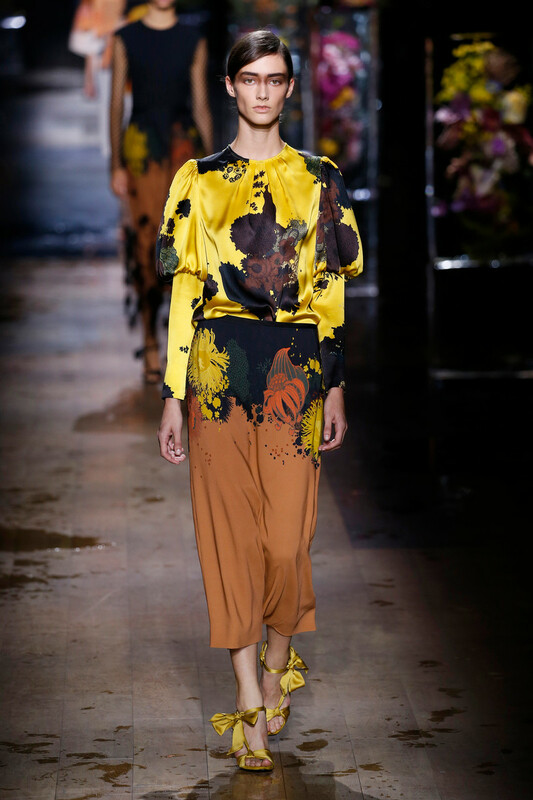 Quite te dressed up spring/summer collection. 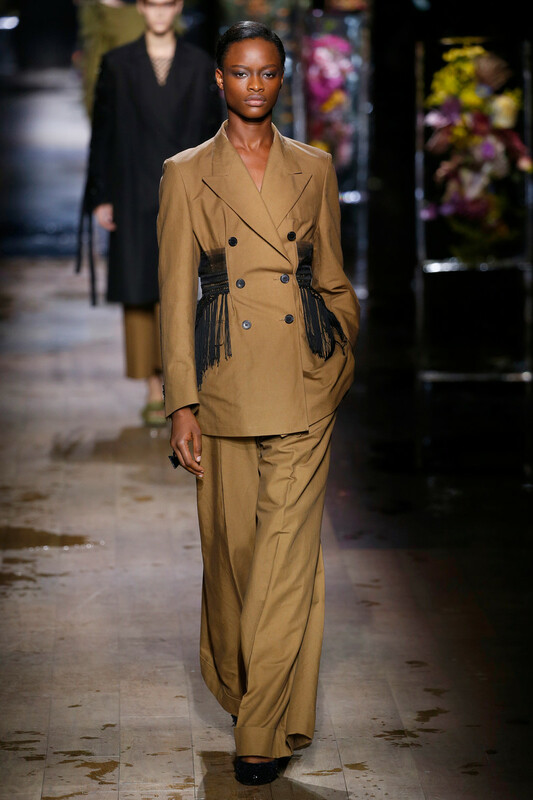 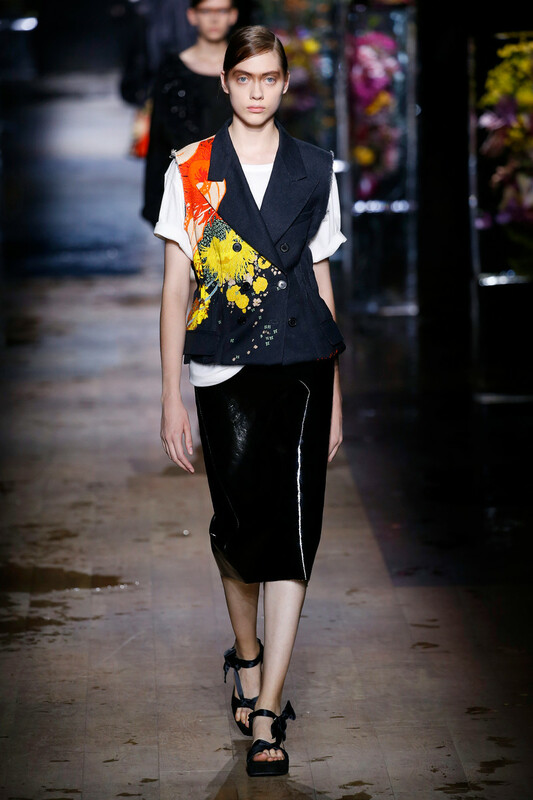 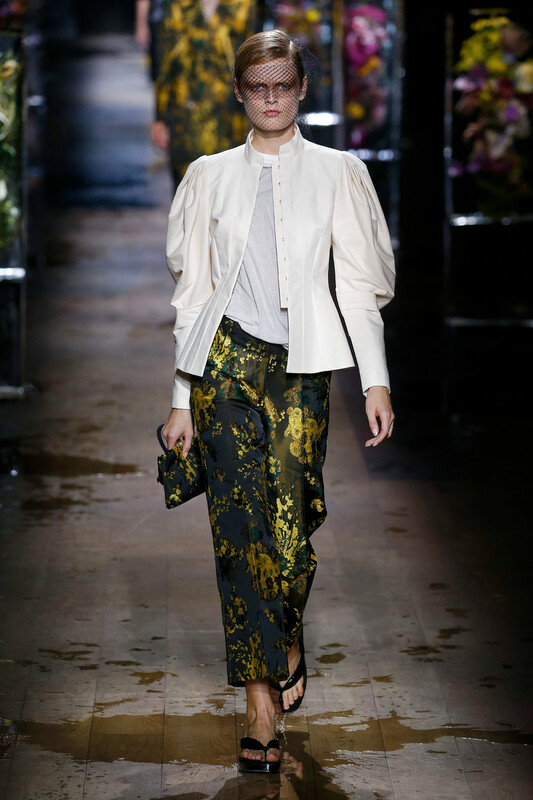 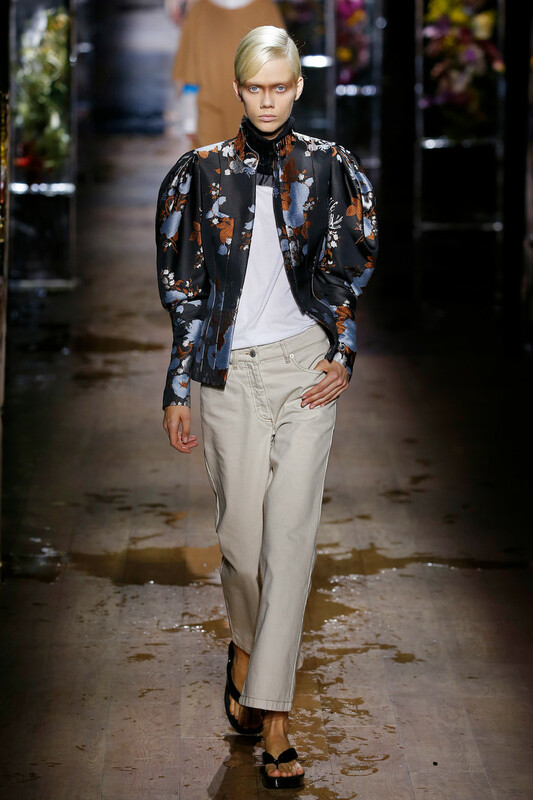 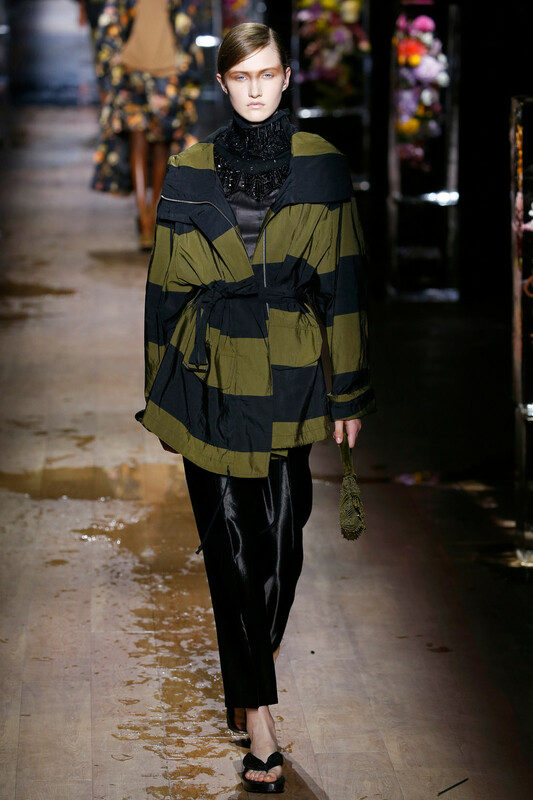 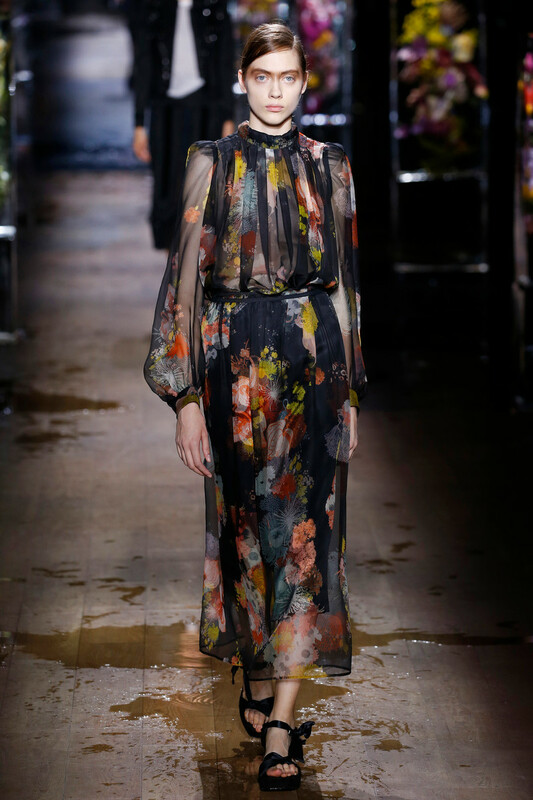 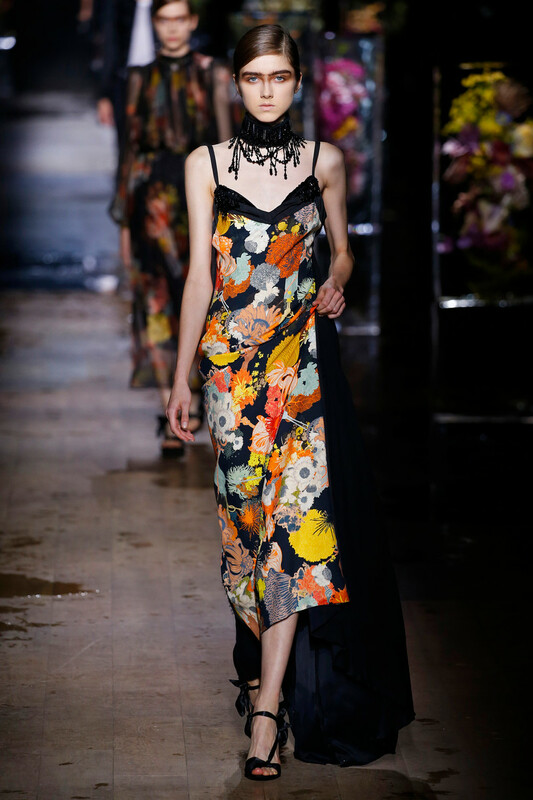 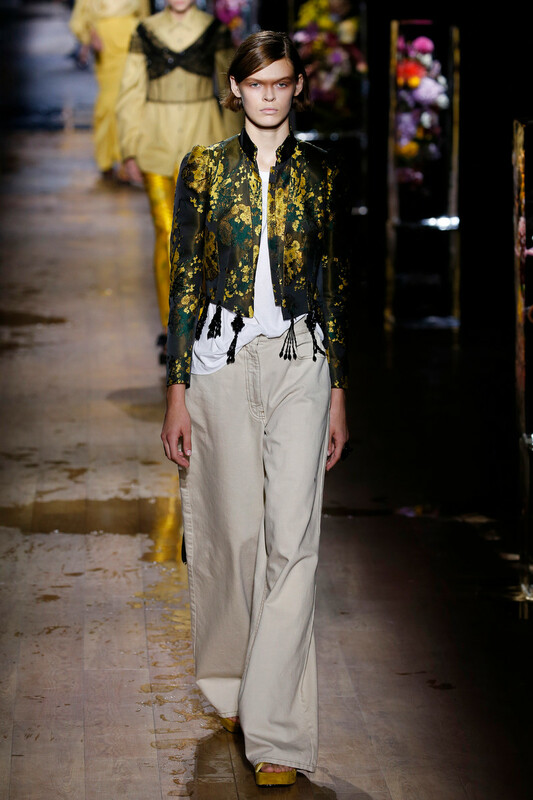 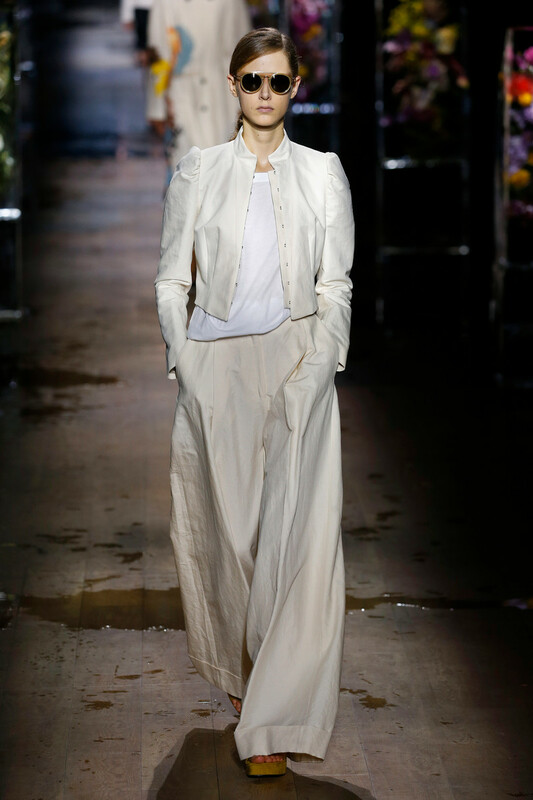 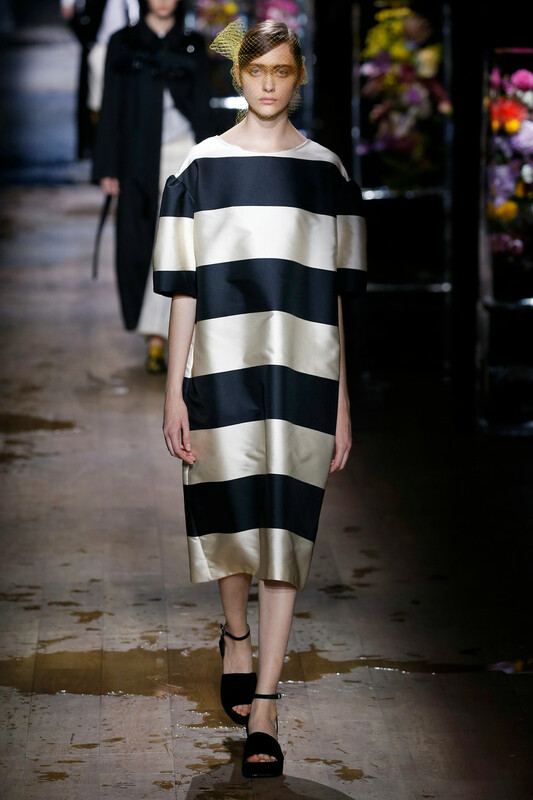 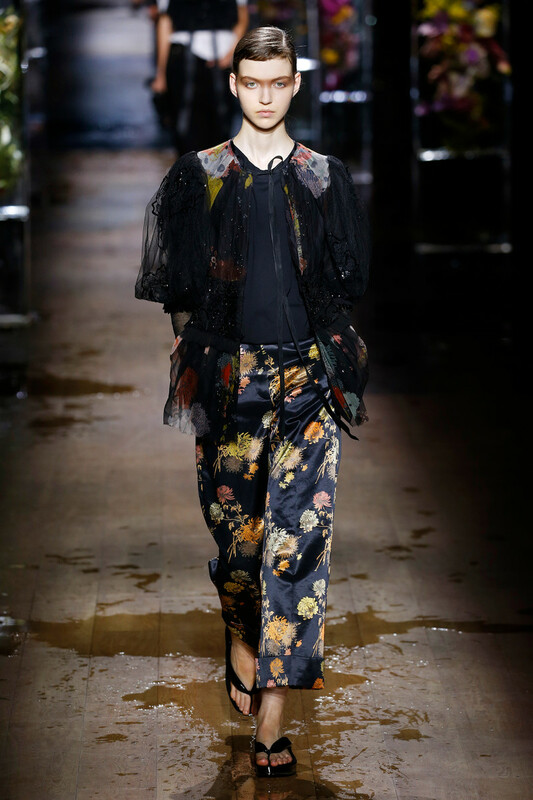 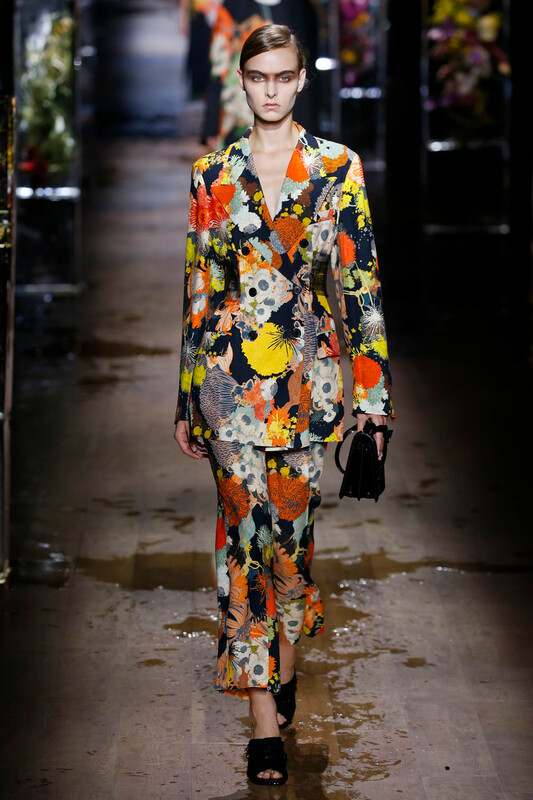 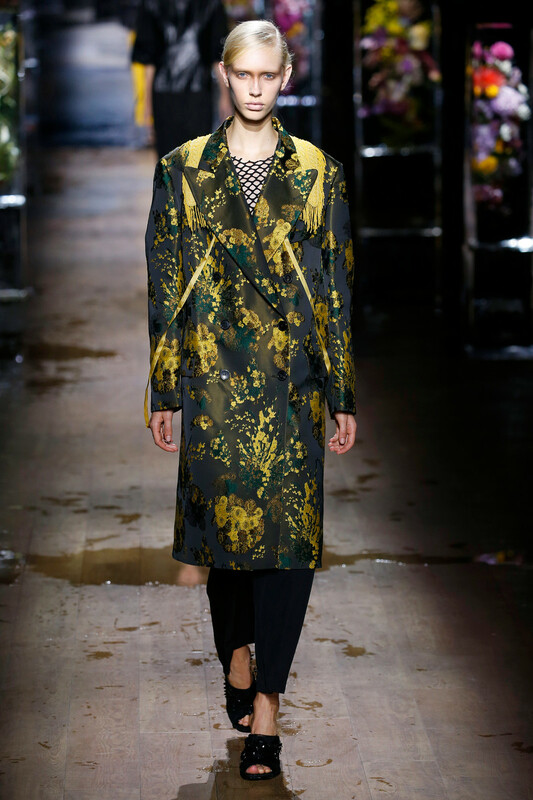 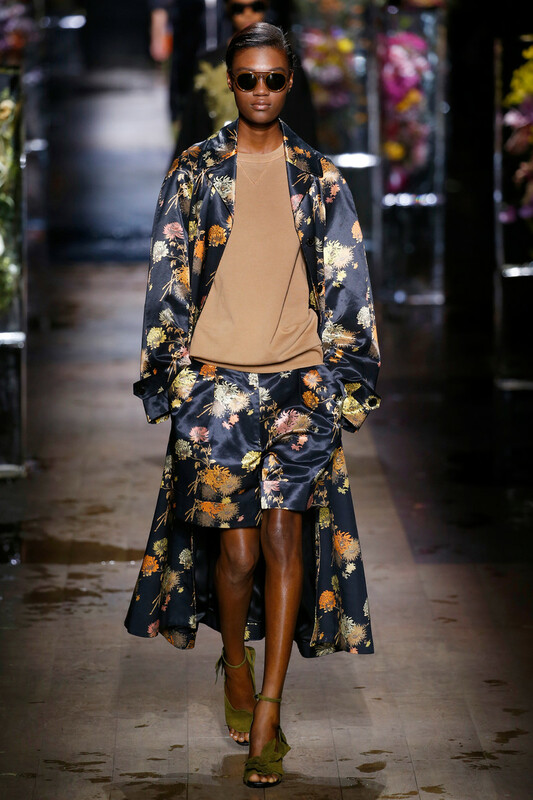 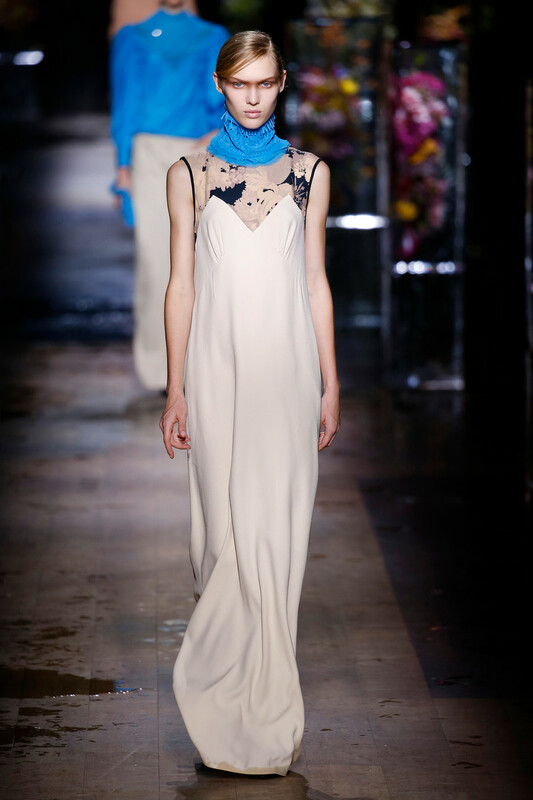 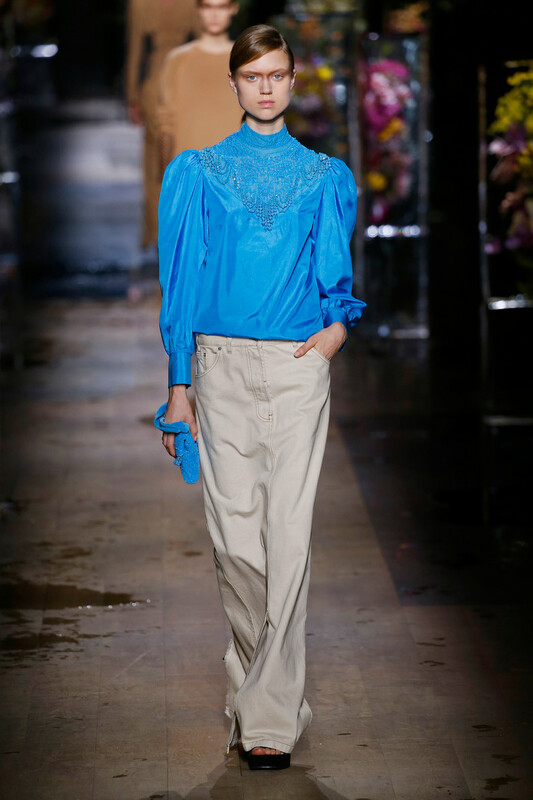 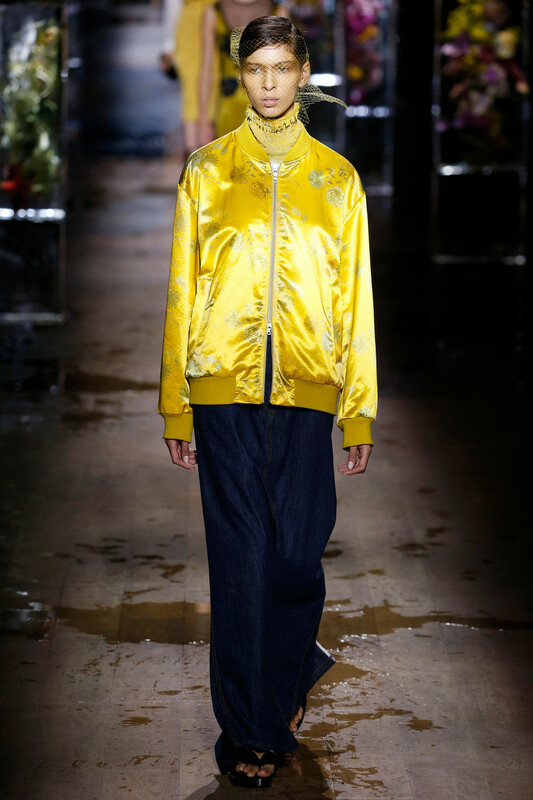 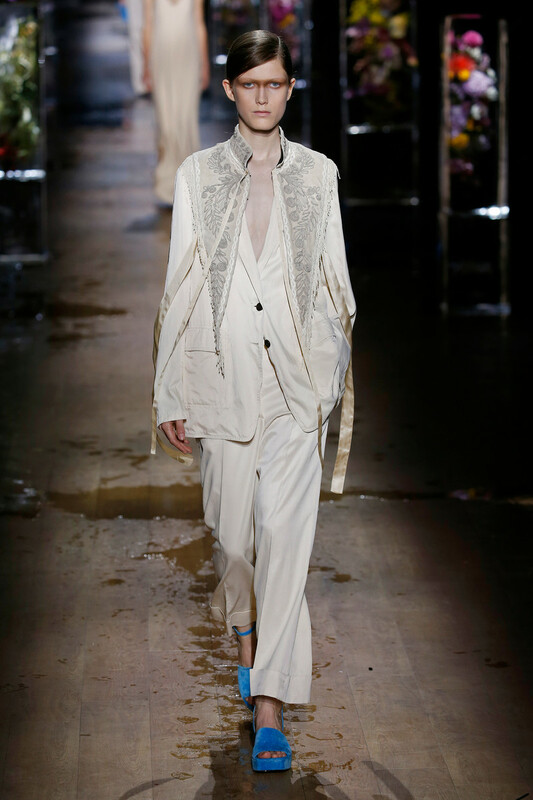 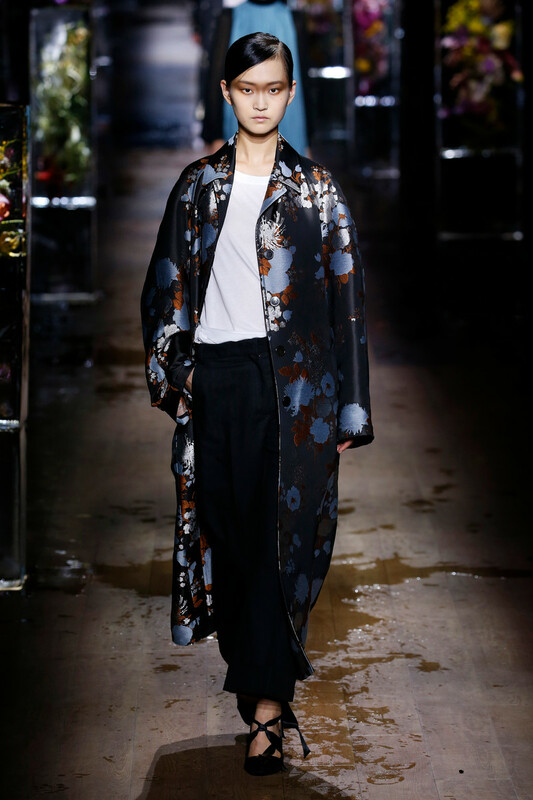 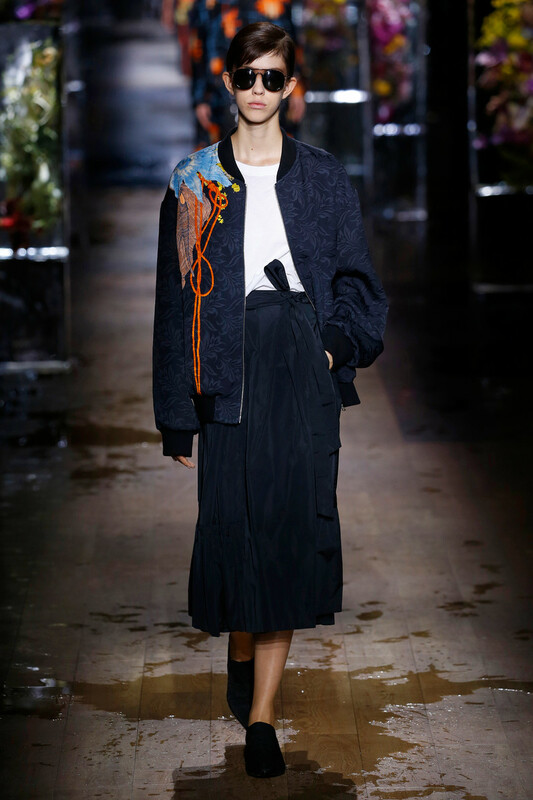 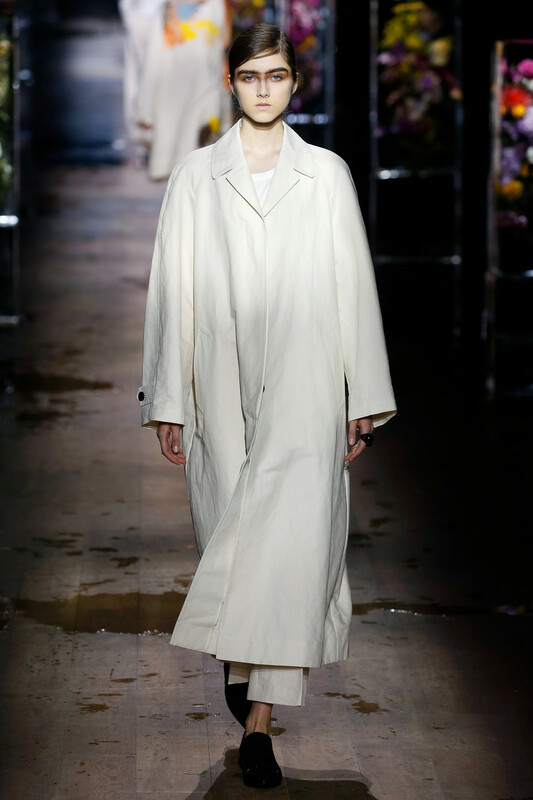 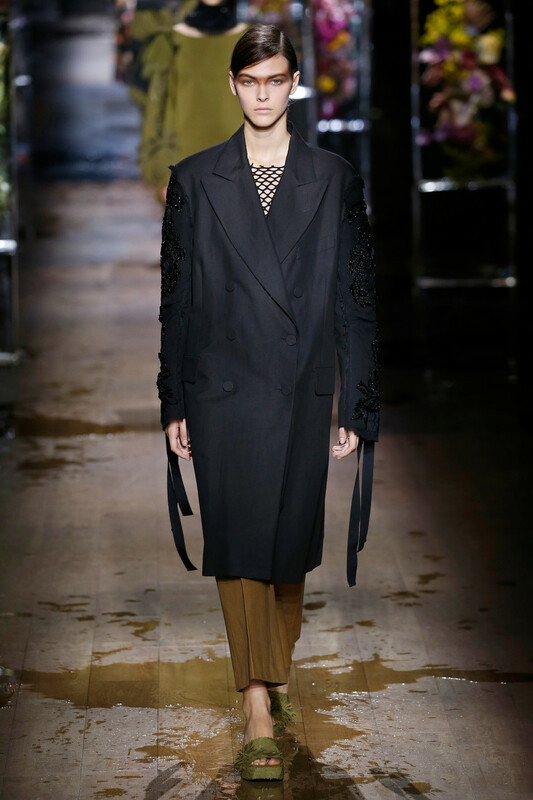 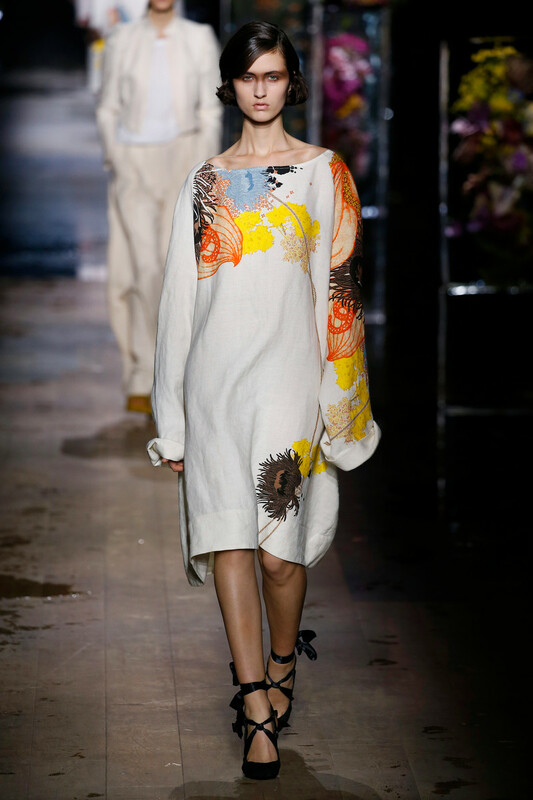 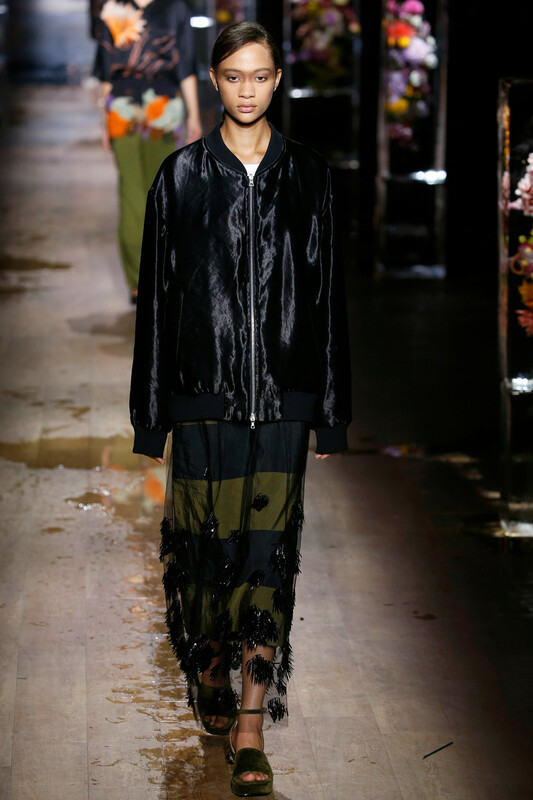 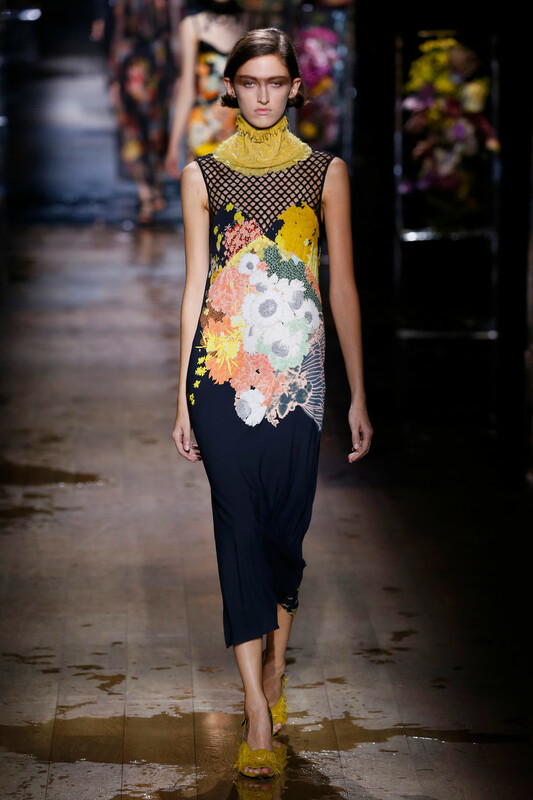 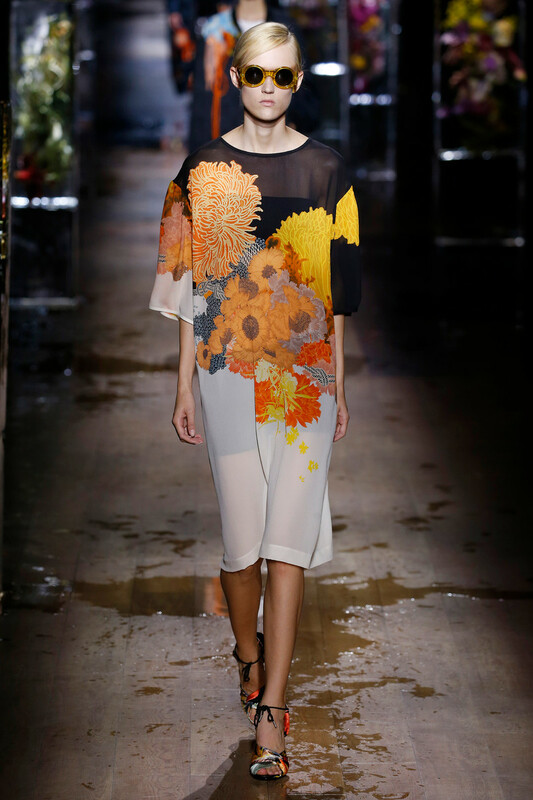 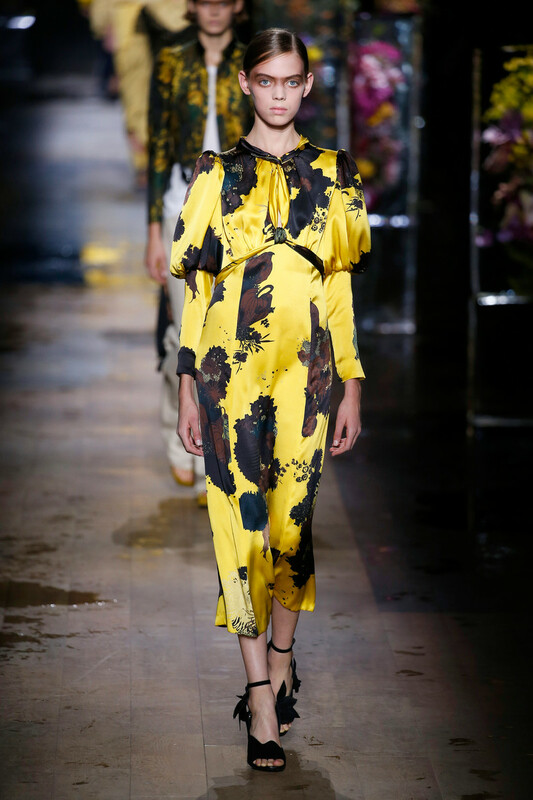 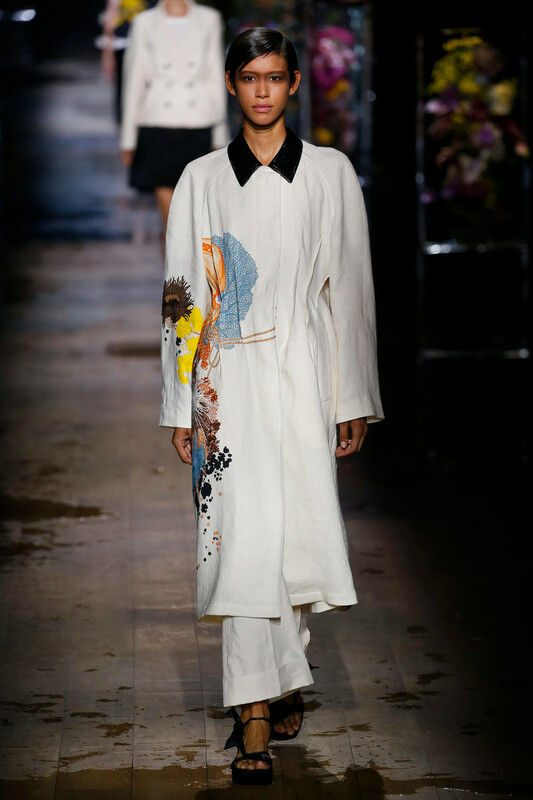 So if spring is indeed to going to get frosty we’ll be in good hands with Dries van Noten. 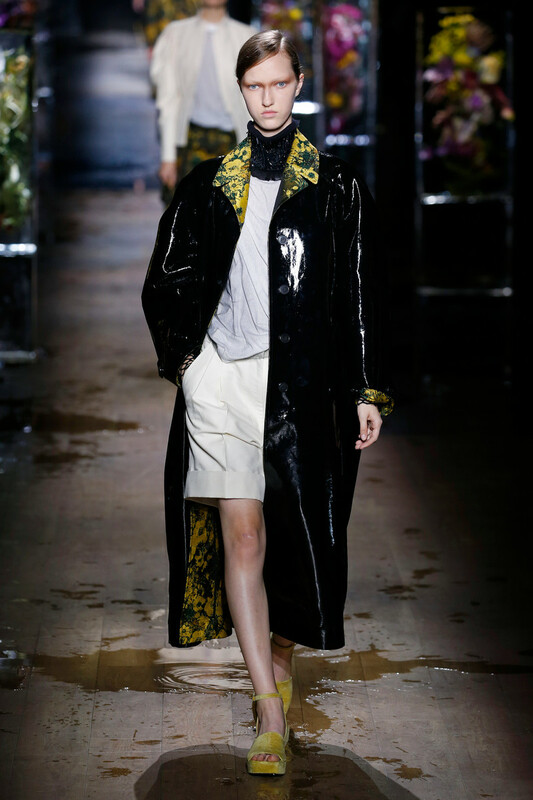 His patent leather coats, rain jackets, Edwardian blouses, wide-leg jeans, balloon sleeves and camel colored double breasted suit seem perfectly appropriate for a summer in Holland. 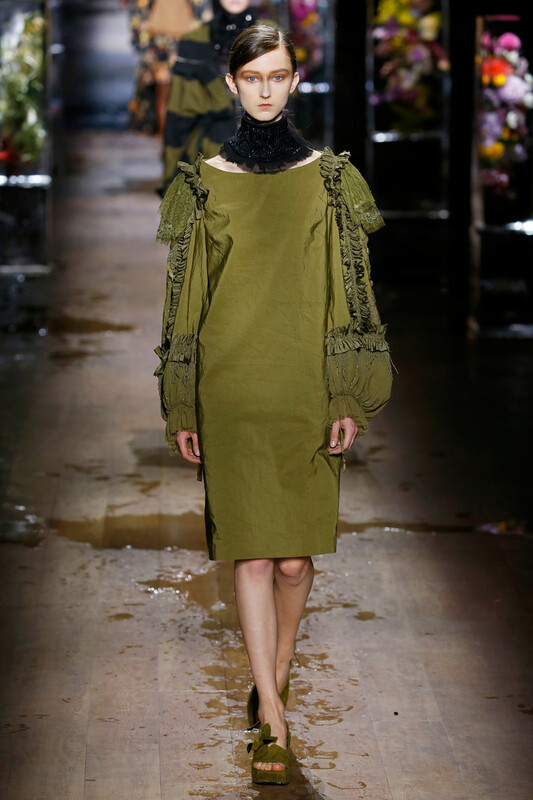 It’s the kind of sophisticated chic we could really pull of without being extremely uncomfortable. 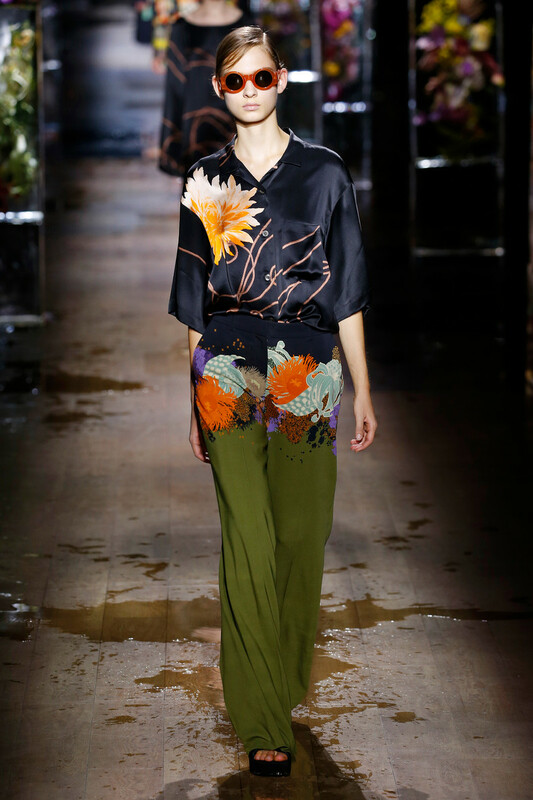 And who could fall in love with such a blooming collection.